Are you divorcing or facing family disputes but cannot afford a solicitor? Then you are in the right place. With over 20 years legal experience, Ashlie Prescott is passionate about helping ordinary couples & families resolve their problems, without the huge costs of traditional solicitors. Her guidance and mediation services can help minimise anxiety during an emotional time, and help avoid stressful court proceedings. 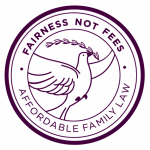 I can offer advice, guidance and mediation services on a range of family related legal issues. Using me as a mediator can be much more effective and far cheaper than a traditional lawyer. Divorce is only the end of one chapter of a persons life, I can also help with beginnings of new chapters. If you have any questions regarding our legal & mediation services? Kind words from clients I have helped. Ashlie Prescott was very professional in all aspects of the work carried out on my behalf together with the sound advice necessary in order to succeed to a very satisfactory outcome for which I am so grateful.The understanding of the laws were in plain English in order for people to ascertain the meaning of same and would have no hesitation in recommending Ashlie when looking for an excellent solicitor. We have been using Ashlie in connection with my Brothers custody battle, she has been amazing, very helpful and extremely knowledgeable and managed to so far get an amazing result for us. The court case is still going on and she is defending our corner all the way I would highly recommend AP Family Law & Mediation to anyone. After 40 years of marriage it was always going to be difficult to break away, Ashlie helped me through the minefield of divorce, Thank you Ashlie for being a rock when I needed it and producing a workable solution even though my ex had said it’s “non negotiable”. I have no hesitation in recommending Ashlie with her straight talking and fair approach she made the whole journey through the legal process easier to understand and deal with, and it didn’t break the bank or take years to reach a satisfactory conclusion. I found Ashlie to be compassionate, supportive and knowledgeable. She helped me through a difficult time and I recommend her wholeheartedly to anybody going through a divorce. I would never hesitate to recommend Ashlie Prescott. With 1 very well crafted letter she resolved 6 years of post divorce agony. She took my brief, understood the outstanding issues and took decisive action. Her work put previously agreed boundaries back in place. He has not been an ar*e since. Job done. Thank you for helping the children and I move forward. If you are looking for an affordable way to sort out your marital problems then I can’t recommend Ashlie Prescott highly enough, she helped me through one of the most difficult times in my life, her professionalism, knowledge of the law, her down to earth words of encouragement at crucial times enabled me and my ex wife to reach a settlement we could both live with in a timescale that didn’t drag out the pain over years. Divorce is never easy but with Ashlie in your corner you stand a better chance of a workable settlement at a fraction of the cost of “conventional” high street solicitors. I cannot recommend Ashlie enough! My divorce was extremely complex but Ashlie took a lot of the stress out of it and made sure it came to an amicable conclusion. Unlike other law firms I have dealt with, Ashlie always responded quickly to any phone calls or emails I sent. Her knowledge, expertise, advice and confidence gave me the confidence, courage, belief and strength needed to help me through my divorce and child custody case. Since the first time I met Ashlie I was blown away by not only her knowledge of family law but also her professionalism. Helping me to change a contact court order was one of the most challenging things I have gone through yet Ashlie guided me through it, not only with my best interest at heart but more importantly my child’s. I got a great outcome and it didn’t cost a fortune due to her reasonable pricing system. I recommend Ashlie to all I meet. You will not be disappointed. Now it is almost over, I just wanted to say a huge thank you for all your help during my divorce. Your advice and countenance on so many occasions when I felt desperate and vulnerable was invaluable. I couldn’t have done it without you! To help another become ‘free’ from abuse is the one greatest gift your can give to another, I applaud you Ashlie, my friend. I was advised by a friend to seek advice from Ashlie Prescott as I didn’t feel confident with my solicitors through family court proceedings. It was an extremely stressful period for the whole family and felt that my current solicitor didn’t have the experience or knowledge to prepare me for possible outcomes or give me the reassurance I needed. Ashlie visited my home the very same day I contacted her and instantly put me at ease. She is Professional at the same time very down to earth, empathic and easy to talk to. I found divulging the most personal information easy and I didn’t feel uncomfortable or embarrassed in doing so. She advised me how to move forward personally making an enormous difference to how I feel, giving me peace of mind as she feels very confident on how to achieve positive results.I cannot thank you enough Ashlie for all your help and advice. I would highly recommend Ashlie to anyone who is seeking advice and legal help. I thank Ashlie so much for all of her hard work fighting my corner and getting me the deal we did. I thank Ashlie for her endless patience in listening to me bemoan the court system and mopping up endless tears, I could never have got through this without her, she was and always will be my sanity’s saviour. I wish her every success in her practice for many years into the future, and may her skills help many more women in need such as myself. From the bottom of my heart.I cannot thank you enough Ashlie for all your help and advice. I would highly recommend Ashlie to anyone who is seeking advice and legal help. I recently used Ashlie because my ex was refusing to let me see my daughter. I had been quoted some scary prices by various solicitors but there was no way I could afford to pay that kind of money. I was desperate to see my daughter but I was terrified of trying to go through the courts without any proper legal help. Fortunately someone recommended Ashlie to me and she provided me with all the help I needed at a fraction of the cost. I am now seeing my daughter regularly and I couldn’t be happier. I instructed Ashlie to help me divorce my Husband and she also sorted out a financial settlement for me too. I cannot recommend Ashlie highly enough. She is so professional but really warm and understanding too. It was so refreshing to deal with someone who genuinely cared about me. I know Ashlie of old because she was my solicitor when she worked in her previous firm. I paid my legal fees then by borrowing money from my parents and getting into debt with credit cards because the costs were so high. I needed some help recently in relation to ongoing children issues and I couldn’t believe my luck when I found out that I could still use Ashlie but without getting myself into debt. Her fees were so much lower than they were before but I got the same level of expertise and experience. It was a win win for me. I do not qualify for legal aid. Without the support of my professional Mckenzie Friend, whom I pay for, I would have not been able to afford “full” solicitors fees and therefore could not have been confident in securing my daughters financial security during my divorce. This service has been invaluable to me as I would have struggled greatly to be able to afford the cost of instructing a solicitor. I have been very happy with the way the work has been undertaken. Without the help from Ashlie Prescott, I would have been unable to access affordable legal advice. I welcome having a choice to either try and muddle through on my own or use the service of a McKenzie Friend. I found the service I received from Ashlie to be a great help to me at a time when I needed professional advice and could not afford to pay solicitors fees. Affordable legal advice and mediation services from Ashlie Prescott. With Legal Aid no longer available for most family cases, many people are feel trapped in having to represent themselves at court. This is the awful reality for a lot of people, an experience which one Judge in Hull used to describe as “like trying to extract your own tooth”. I became a lawyer because I have a strong sense of fair play and because I believe in justice – for all, not just for those who can afford it. This is what led me to form Ashlie Prescott Family Law and Mediation Service, so that I could give ordinary people on ordinary incomes the chance to have full legal advice and assistance in relation to family matters, at a cost that is affordable to them. I have worked as a Family Lawyer for 20 years both as a partner at one of the largest law firms in East Yorkshire and more recently at one of the largest national law firm in the country. I am named in the 2014 Edition of the Legal 500 which lists the best law firms and lawyers in the country. I am also an accredited Family Mediator, and take great pleasure in helping families and couples reach agreement and closure in their legal issues. Do you need help with family, marriage or child issues? There are challenges, especially within the framework of divorce, when parental guilt can sometimes blur what should be the best decision. Do you need advice or mediation in any aspect of family law? Unsure about how to handle a divorce? Send us a message or give us a call and peace of mind is right around the corner. Ashlie is a non practising solicitor. AP Family Law is not a regulated law practice. © 2018 Ashlie Prescott. All rights reserved.